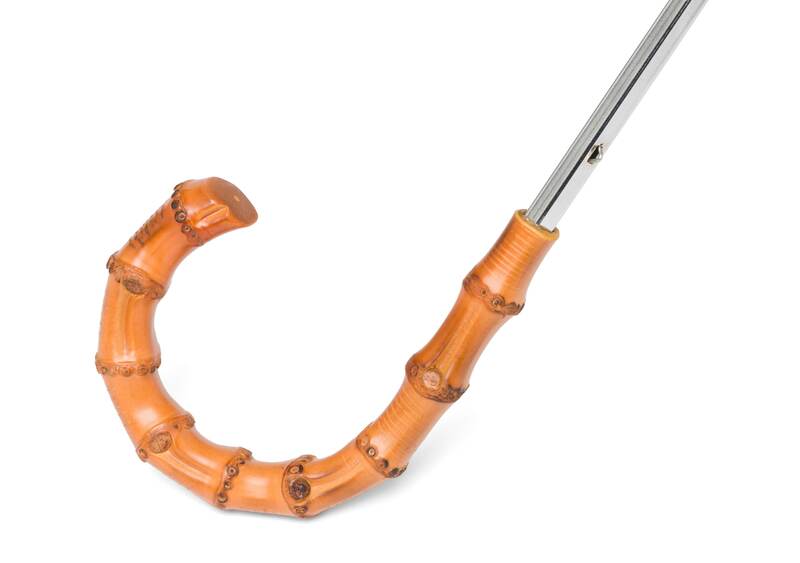 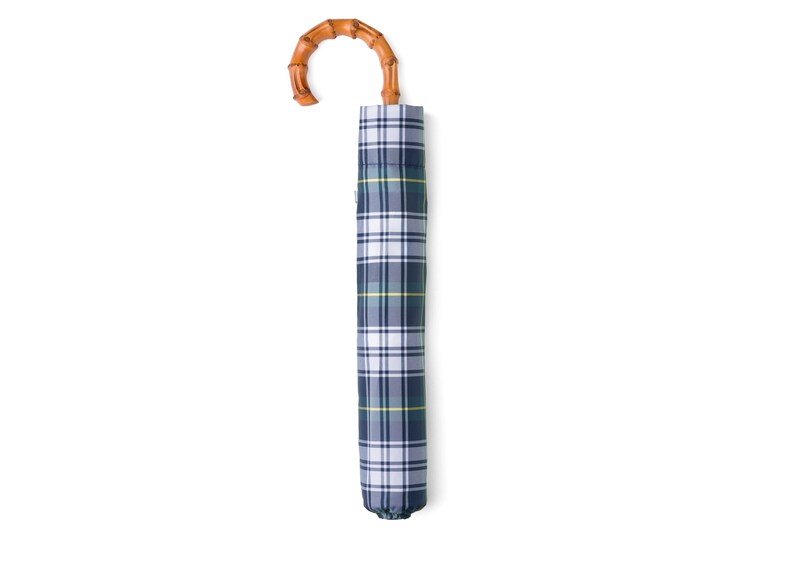 This telescopic umbrella is an essential British accessory. 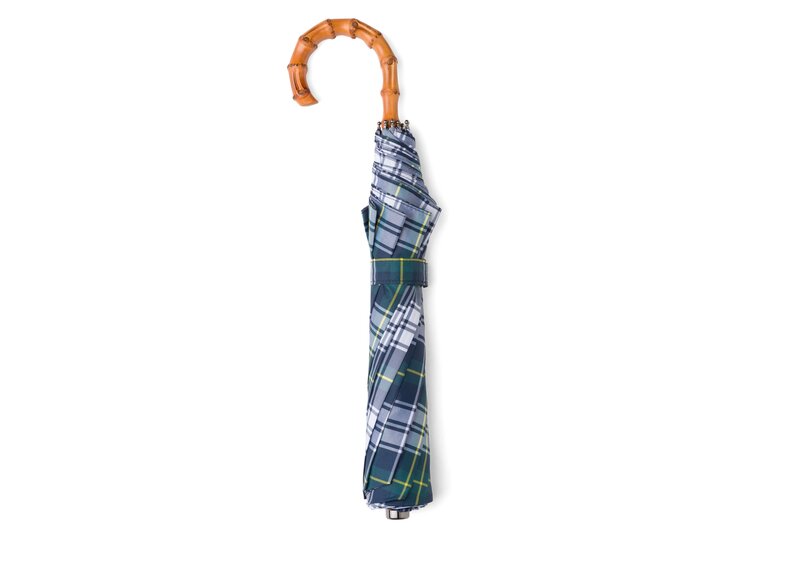 Its tartan check canopy echoes its heritage and complements the luxurious curved handle, crafted from whanghee wood, a hardy bamboo that adds an artisanal character to this modern piece. 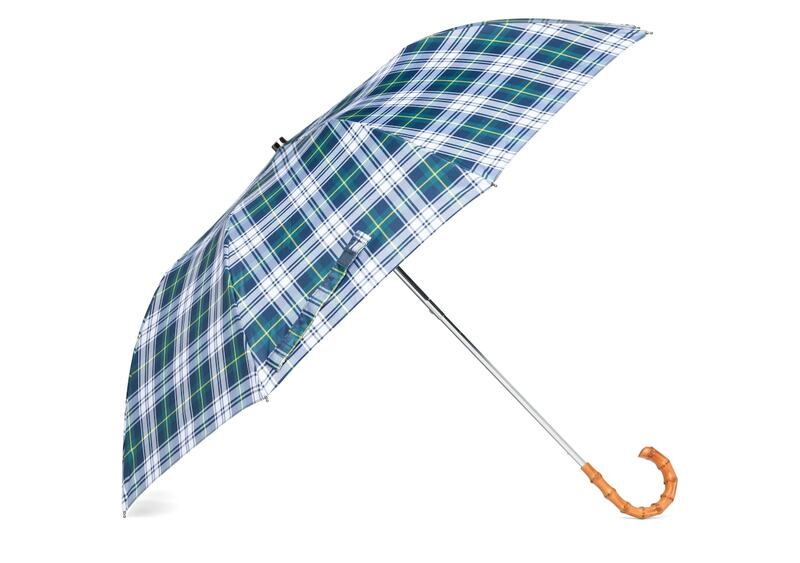 A lighter hued print makes this umbrella perfect for summer showers or a standout syle against the grey skies of winter.